Minimal waste – When not in use, re-seal the container and store in an appropriate place. 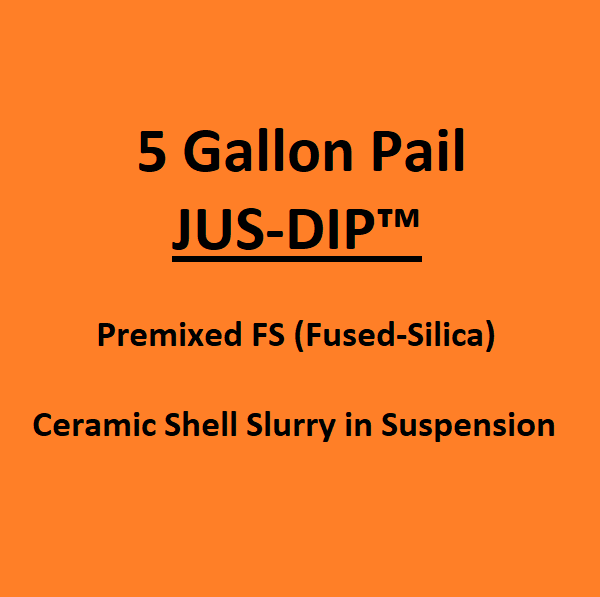 Jus-Dip is a pre-blended slurry that contains optimized levels of refractory, additives, and polymer to provide the best performance. Setup is easy, place the container in your shell room, or wherever you will be dipping, remove the lid and stir. 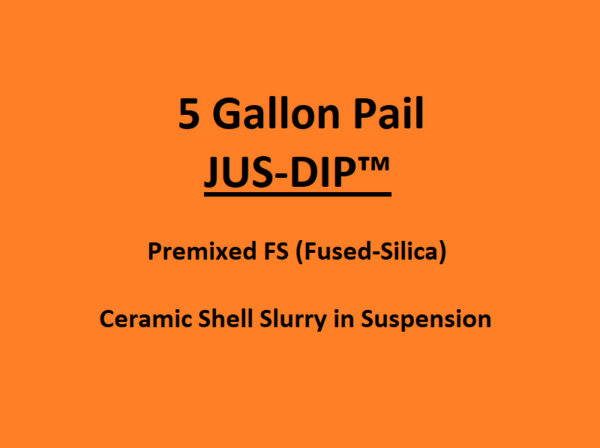 Your slurry is now ready for use, as Jus-Dip doesn’t need to be constantly stirred you can dip directly from the container. Jus-Dip includes a visual indication of when a shell is dry enough for the next coat. It also includes a wetting agent and an anti-foam, ensuring that the slurry requires a low level of technical equipment and maintenance. When the slurry is not in use replace the lid and store it until it is required again.